It took some time for the James Bay communities to come to terms with the sudden death of Chief Randy Kapashesit of the Moose Factory Cree of Quebec (MoCreebec). The 51-year-old was in Minneapolis, Minnesota with his family when he died of a massive heart attack on April 25, 2012. Kapashesit had previously been diagnosed with a thrombotic disorder and required blood thinner medication. The energetic visionary directed the affairs of his people for 25 years and many felt, as he recently took on a role with international scope, that his leadership capacity was on the rise. “He would have been at a United Nations planning meeting this week, but his sister, Brenda, and life partner, Donna, will be going in his place,” said George Small, Health Director for the MoCreebec Council of the Cree Nation. Randy sat on the planning committee for the United Nations 2014 World Conference on Indigenous Peoples. “I was eight or nine years older than him, but I remember he was a typical active kid, climbing trees and running everywhere. He was just like his late mom, though, calm and mild-mannered but with a strong, caring character. Randy loved working for his people and gained a lot of ground for us in terms of Aboriginal rights,” Small added. At 21, while still a political science student, Kapashesit spoke with the chairman of the MoCreebec, Allan Jolly, about coming on board to help with council ventures. “Allan formed the council in 1980 but had no political background. He wanted to hire him on the spot, but Randy had to put him off until he finished his final year of university,” recalled Small. Council members were especially interested in economic development since, despite the fact they traced their roots to ancestors along the east coast of James Bay in Quebec, they were not included in Treaty 9 and do not receive government funding. With the development of the Hydro Quebec dams in the early 1980s, their traditional lifestyle was literally drowned out, and the infusion of millions of dollars bypassed them. Kapashesit joined the organization in 1986 and took over as chief in 1988. He used his education and political savvy to draft the constitution that would form the basis of how MoCreebec would operate and function as a political organization, based on the cultural history, traditions, values and beliefs of his Cree people. 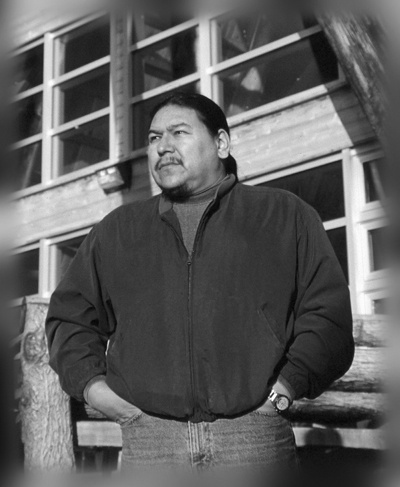 Helping to lead his people toward economic sustainability and a better quality of life, he was the visionary behind the building of the Cree Village Ecolodge in the 1990s. “I recall many bold moves that Randy took when his community was developing the Cree Village Ecolodge,” Rick MacLeod Farley, advisory board member of the International Ecotourism Society, said in a statement. He spoke of Randy halting Ecolodge facility planning work for four months when he thought the outside professionals were moving too quickly and that the community wasn’t involved in all the decision-making. “He insisted the facility be a reflection of his community in every way,” explained MacLeod Farley, adding that Kapashesit pushed architects and engineers to heed his peoples’ desires for the facility. He also sought out MacLeod Farley to help him to identify more environmentally-responsible alternatives to proposed finishing materials and furnishing. Kapashesit’s attention to detail paid off: The Cree Village Ecolodge became one of the top 10 eco-destinations in North America and was the 2005 winner of the Tourism Industry Association of Canada/Air Canada Business of the Year award. “Everyone who spent time with Randy learned from his example, from his commitment to his family and community and to the greater good. Everyone who heard Randy speak was impacted by his words and by the depth of his thinking and actions,” said MacLeod Farley. On May 1, a plane was dispatched to Minneapolis to carry the chief’s body home to Moosonee as the community put out the call for donations of wild geese to be prepared for the memorial community feast. Family and friends gathered at the Cree Village Ecolodge where a tipi was erected and a sacred fire burned for four days. After prayers and a small feast, everyone gathered to await the plane that flew overhead and circled Moose Factory before landing in Moosonee. The night was warm and calm when the chief made his final trip across the Moose River in a boat. That night, however, a snow fell, which was unusual for the region. Randy liked nothing more than to stay at his father’s Moose Factory bush camp in the depths of winter, and shared the experience with visitors, some noted at his funeral.